Norman D. Sorensen has now gathered a selection of genial anecdotes, lively retellings of Biblical verses, and deep spiritual insights. The book is drawn from one man's extraordinary life experiences, spanning the decades from before World War II to the present. Here is the wisdom of a man who has lived through a century of tumult and change, where the only consistency is the one that counts: the overwhelming reach of God's love. 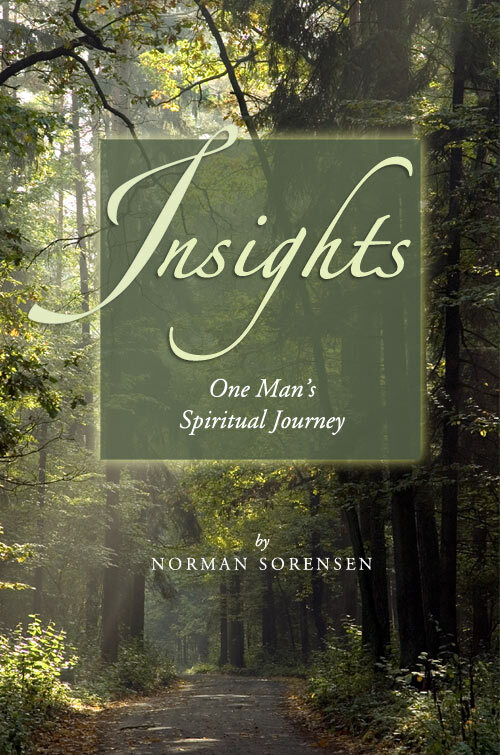 "After reading Insights, One Man's Journey, by Norman D. Sorensen, I can say that I was deeply impressed with the author's dogged persistence in pursuing a most basic facet of religion, and that is Faith." Without diminishing their spiritual message, Sorensen brings color and life to Biblical stories with vibrantly imagined details. We experience the sight of white seagulls soaring over the Sea of Galilee, the thunder of horses in the Moab army, the tumbling clouds of dust as crowds gather near Jesus. Sorensen's retelling of stories like those of Saul, of Nicodemus, of David and Goliath are faithful to the Bible to the finest detail, but written in contemporary vernacular. It's as if the people in the Bible are speaking directly to us today — which, Sorensen is reminding us — they are. Here too are tales and memoirs in modern settings. We hear about insights gained while hitchhiking to seminary school, and the story of a regular guy named Ken who finds the Holy Grail. Secrets of faith and essays on interpretations of Scripture complete the collection. Rendered with vivid embellishments — without straying from the truth of the original Book — Insights is a must-read for the believer of today. Sample copies are available to qualified reviewers.